Puma Spring Outlet Sale!! Starting under $20! *HOT* $90 Mootsies Tootsies Quill Boots just $29.99!!! 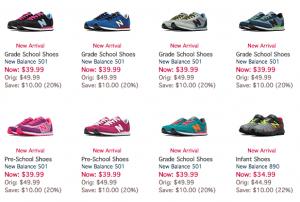 Joe’s New Balance Outlet: 15% off EVERYTHING + FREE Shipping!! Huge savings on Shoes! 6pm: Additional 20% off + FREE Shipping!! Today only!! Great Deals on UGG Boots, Converse, Saucony + More!! 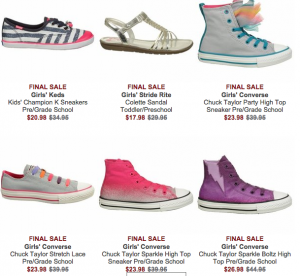 FabKids: Girls’ Boots just $10 + FREE Shipping!!! 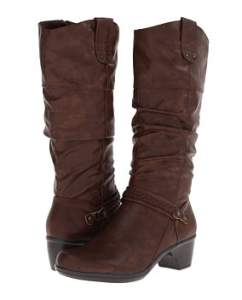 Easy Street Joya Tall Boots just $25.50!! Reg. $84.99! 6pm.com: 10% off Sitewide — First 4000 only!!! GREAT deals! !